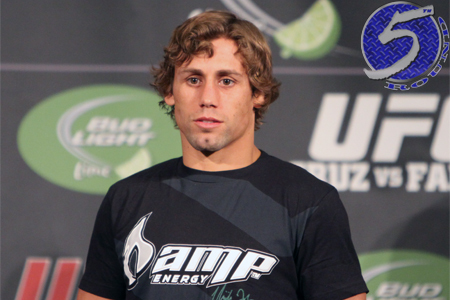 On Monday, a bantamweight battle between Urijah Faber (pictured) and Masenori Kanehara was added to the UFC Fight Night 52 roster. Fightsportasia.com first reported the bout, which was subsequently confirmed by multiple outlets. However, the UFC has yet to officially announce the fight. The September 21 event takes place inside Saitama Super Arena in Saitama, Japan. Faber has rattled off wins in five of his past six outings. “The California Kid’s” most recent victory came in July’s submission over Alex Caceres. Kanehara is an 11-year veteran finally making his big league debut. The 31-year-old enters the UFC on the heels of a disqualification defeat to Toshiaki Kitada at DEEP 66. He had won six straight prior to April’s contest. No word if the event will be made available for live viewing in America via Fox Sports1, Fox Sports 2, UFC Fight Pass or some combination of the three.